Just curious as this seems to be an option for some 1911's. I still think big, fat, slow is better for living threats but hey, just curious. What are your comments? I have one, and I like it better than the Big ol .45ACP.. I like the .45, but I like the . 38 Super better. OzarkMarine, Cliff, jeepnut and 8 others like this. None here but have read some very good and interesting article about them. That is a very nice Pony Kid. KidSopris, Curt360 and OzarkMarine like this. The one caliber I do not have but would like to. Have considered it several times. A very flat shooting round. 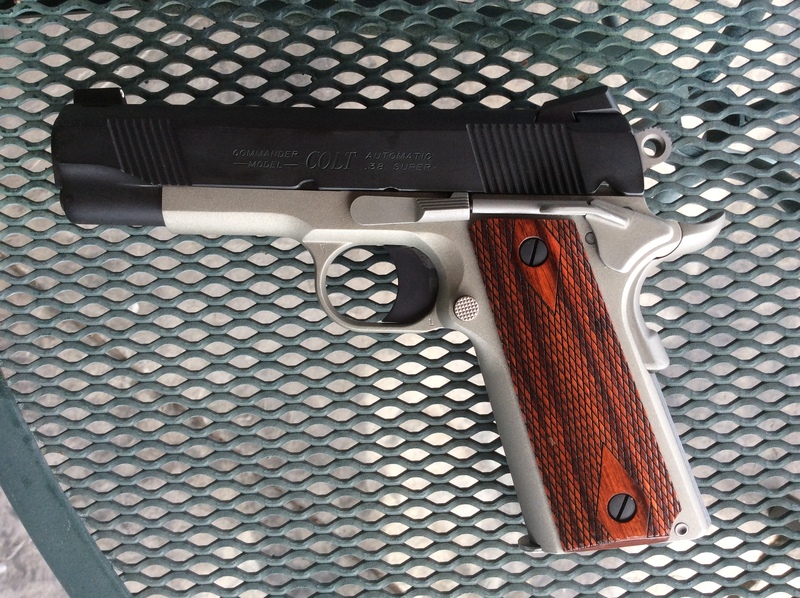 Talo/Colt .38 Super Lightweight Commander. 1947 Super .38 top, and 1952 Super .38 bottom. jeepnut, KidSopris, Rule3 and 6 others like this. I believe that as a Mexican-American is a requirement to own one! 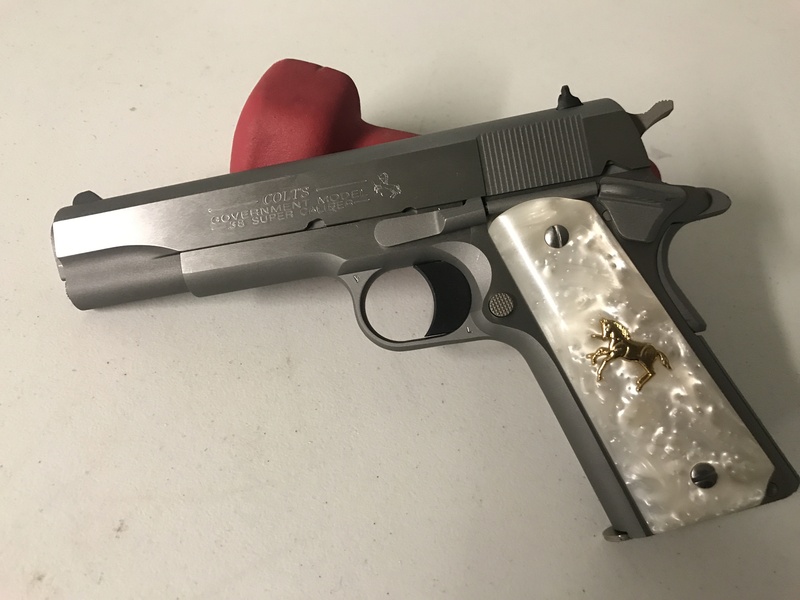 Here is my 38 Super pony. KidSopris, Curt360, WendyZXZ and 6 others like this. I have 2 (so far). 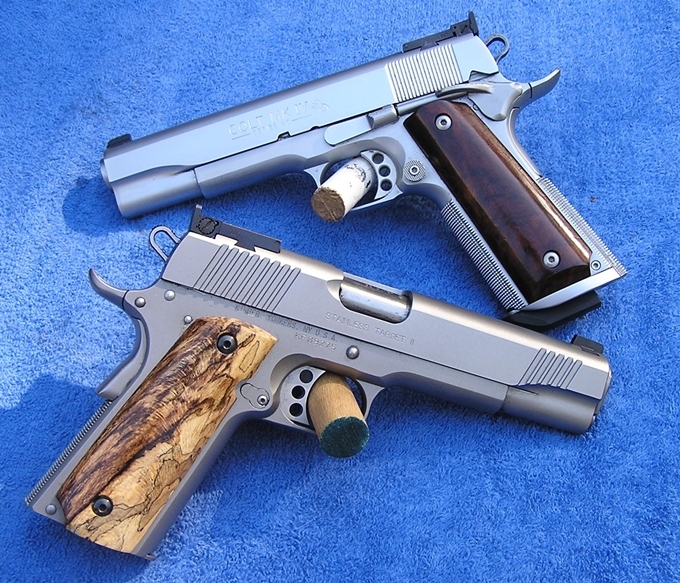 A customized Colt that I guy had worked up as a competition gun and a Kimber Stainless Target. 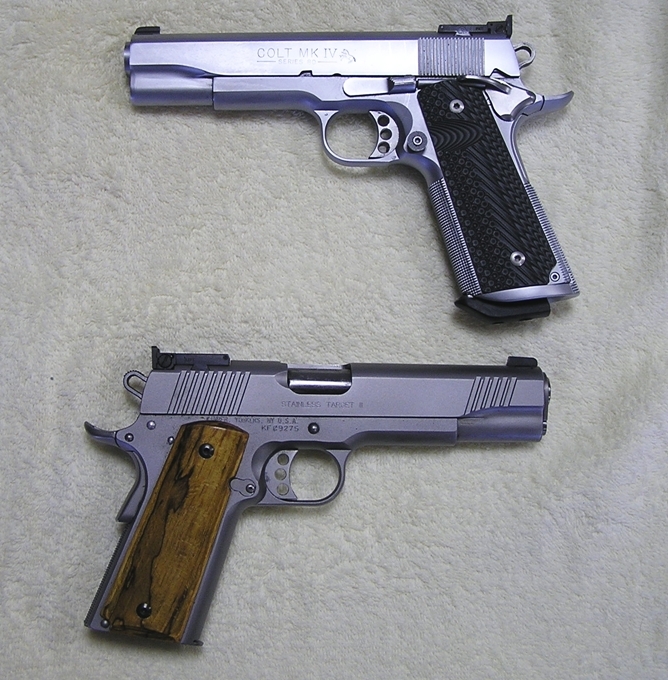 Both are great shooters and more accurate than similar quality 1911's I have in 9mm. Easier to reload also with the slightly longer case. Ammo is more expensive, but reloading takes that off the table. Found a better pic for the second set. jeepnut, Curt360, KidSopris and 6 others like this. The original .38 Super had a poor reputation for accuracy since they headspaced on an inadequate rim. Once the manufactures started to cut chambers to headspace on the case mouth, like most other semi-auto rounds, accuracy improved dramatically. They were very popular with USPSA and some other "practical" competitions shooters because they could be loaded to "make major" power factor without going too far overboard with pressure and the loadings also made compensators work well. When the USPSA allowed "major 9" loadings the .38 Super (and .38 Super Comp, basically a rimless .38 Super) fell out of favor since the brass was much more expensive. For most USPSA matches the shooters loose their brass and that made the 9 mm a lot more attractive. Several friends who are active in USPSA have either retired or sold their .38 Super guns and now run guns using major 9 loads. 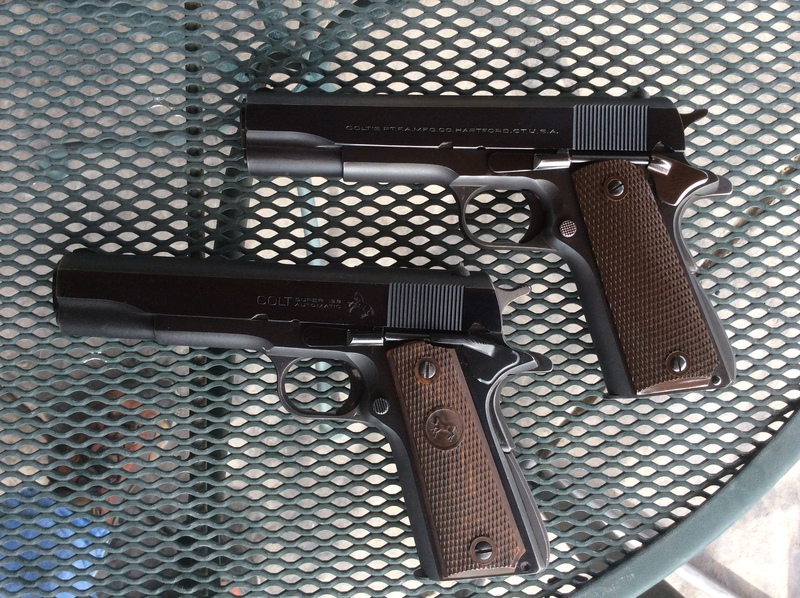 Why do you like the .38 Super better than the .45 ACP? *Thank you for all the answers guys.